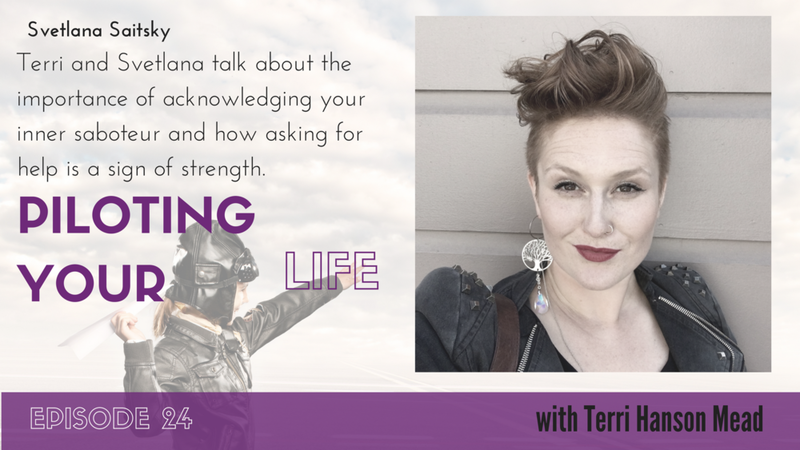 Terri talks to life coach and artist Svetlana Saitsky about learning to not be afraid of the darkness, the importance of acknowledging your inner saboteur and how asking for help is a sign of strength and not weakness. Throughout the last decade, Svetlana has worked with many corporations including Google, Apple, Lululemon, Great Place To Work Institute and YouCaring. Her expertise in culture building, coaching, and mindfulness are brought to life through interactive workshops, and speaking engagements targeting individuals and companies looking for transformation. She is also an artist whose work focuses on mental health awareness. Svetlana's work best supports creatives, entrepreneurs needing an extra push to achieve, and those going through massive career and life changes. We need to continue to redefine our definition of success as we learn and grow and to appreciate the journey and not just the destination. Svetlana can be reached via her website www.svetlandasaitsky.com or on Instagram and Twitter @jetsvetter.